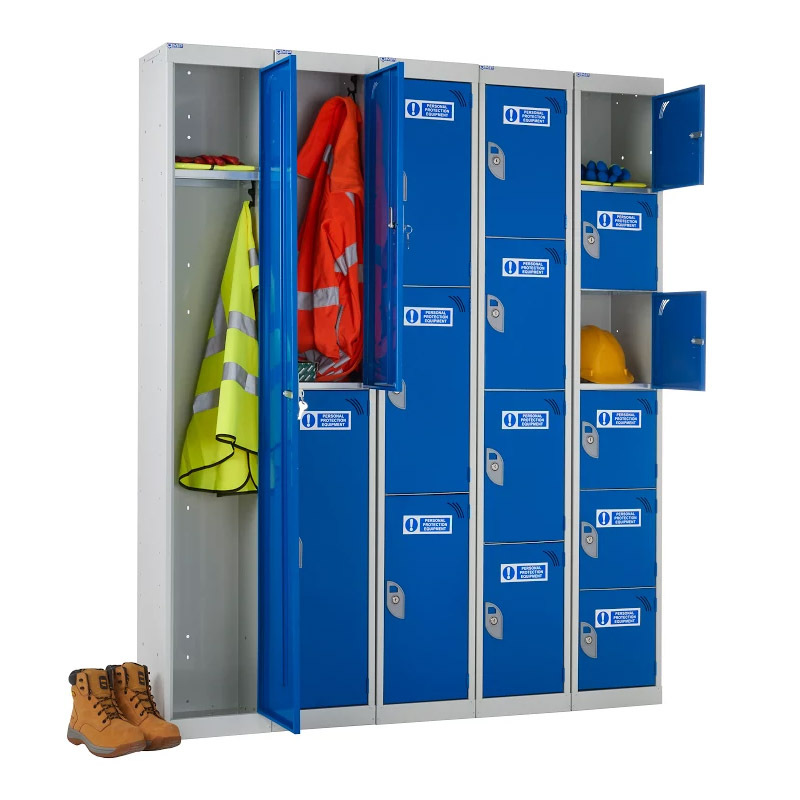 These specially designed lockers provide a clearly defined storage area for all personal protective equipment to be stored when not in use. Having designated lockers such as this encourages staff to return protective equipment such as helmets, ear defenders, boots and safety goggles to the correct place - ensuring all items are ready and easily accessed by the next user. Each locker is constructed from steel with sturdy blue doors, the lockers are clearly identified with PPE labels removing any confusion between these and personal effects or hazardous material lockers. Available to buy in a range of sizes and up to 6 compartment in each 1.8m tall unit. If you have a large requirement for these PPE lockers then please contact us for a bespoke quotation. Top shelf and coat hook supplied in single tier lockers only. Pre-drilled for easy nesting of multiple units.